What About Wildlife Safari Adventures? Wildlife Safari Adventures is a website that was created for you, the traveler! This site can help you plan your African vacation. No matter, if you are a first-time traveler or a seasoned adventurer to the African continent. The first thing that might come to mind is, why would I need help planning my African adventure? Africa is the second largest continent in the world and the birthplace of the human species. Nowadays the population has reached more than 1 billion people. During the 19th century, Africa was called the Dark Continent. Why? Africa was viewed as a mysterious region by most Europeans at the time. Africa encloses the largest concentration of wild animals on the planet. 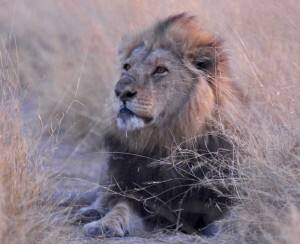 Among the wildlife roaming freely on the continent, you have of course the Big Five animals. There is also an impressive birdlife and a diverse marine wildlife. So, there is a lot to see while vacationing on the Dark Continent! The African continent has a lot to offer to its visitors. So, the planning of a holiday to Africa can be quite overwhelming for some travelers. I have put together this website to help you navigate throughout the Dark Continent. What Is Wildlife Safari Adventures? This site focuses mainly on African safaris taking place in the eastern, central and southern region of Africa. Many of the destinations featured on this website are among the most popular in Africa. Also, the site showcases other places that are quite unknown to most travelers but are nonetheless worthy to visit. If you are interested in learning more about the founder of Wildlife Safari Adventures, and how this website came to be, click here. My primary goal with this site is to help you discover the many facets of Africa. So, I have put together a wealth of information about safaris, and the wildlife inhabiting the African continent. Would you agree with me that when you are planning the adventure of a lifetime, failure is surely not an option! Therefore, to help you plan a successful vacation to Africa, I gathered on this website everything that you need to know to choose a safari that fits your personal preferences and your budget. Plus, I listed valuable travel tips to ensure that you get back home safely. Africa is more than just safaris. Thus, this website suggests an extensive array of alternatives to suit every traveler’s preference. 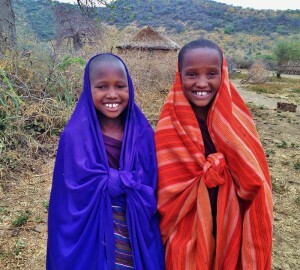 Cultural excursions to learn more about Africa, and the people that helped build Africa. Sporting adventures throughout the African continent to get your adrenaline going. Culinary adventures to savor the exquisite gourmet cuisine and excellent wines of Africa. For many, it is a daunting task to sift through all the safari vacation packages available. Well, I hear you, so I have done all the heavy lifting for you! As a result, this website features thorough reviews of African vacation packages. As a bonus, you will find within this site in-depth reviews of various products that are essential for your African journey. As you can see, all the aspects concerning an African vacation are covered. Hence, this is the only website that you need to visit to get ready and book your African holidays. So, what are you waiting for? Start planning your adventure today! To learn more about how to prepare for your African safari, click here. If you have any questions about Africa or have safari packages that you would like me to review, please feel free to email me or drop a comment below. I will get back to you promptly. I love your site! You have a lot of education in here. It is definitely a great place to discover the wonders that Africa has to offer. Great for a travel agency to advertise with or through. Keep up the great work. Thanks for sharing your thoughts. I will keep working on it to make it even better. Hi! Thanks so much for creating such a wonderful website. One of my dreams is to go on an African Safari and, after seeing your site, I realize there is so much more Africa has to offer aside from wildlife safaris. I had no idea you could take a culinary adventure with gourmet food and wine. Have you ever taken a culinary tour of Africa? Thank you fo promoting Africa in such a positive and beautiful way. There is a lot to learn and enjoy in Africa. I’m an African myself and come from Zimbabwe. Our greatest treasure is the Victoria Falls and would encourage anyone to visit it, and Safaris are the best way to explore and enjoy Africa. You are very welcome! Have you ever gone swimming at Victoria Falls at the Devil Pool on the edge of the Fall? I love your article.It was a pleasant read with a lot of info. That I might one day find to be very helpful. I am also with WA and will also be using your site as my guide. Thanks for stopping by. Don’t be shy to visit as I more information about African Safaris on a regular basis. Very good article here. It’s a lot about Africa and some of the stuff mentioned in this post, I learned in school. I didn’t know it was so vast and diverse with the different languages and such. I travel a lot my job has me to I think I’m going to request some time off and explore this lovely place. If you are thinking of taking some time off to travel and you fancy going to Africa, then you should take a look at my post about Awesome bucket list idea for an African safari. I mentioned loads of places and things to do while on the African continent. This will get you started on your journey! Your website is awesome! I had never thought about going on a safari adventure until I came across your site. I think I would choose to go to Botswana. I have book marked your site and will be reading further into what Africa has to offer for vacation spots. Thanks for the article I would of never thought about going to Africa. Africa encloses loads of great destination, and Botswana is truly one of Africa’s gem! If you are interested in going on a safari adventure in Botswana and want to learn more about Botswana before booking your trip, then you should click here. As an American of African descent, it’s painful for me to publicly admit this but I have always been intimidated by the idea of visiting Africa. Everything about Africa seems so wild. Especially since the media in America has always cast such a negative light on the Dark Continent. The only exception I can think of is The Lion King (Disney). It’s such a shame. Especially for displaced persons of African descent. Thank you for all of this information! Even though you switched my perception of Africa from dangerous to exciting, you still include safety tips on your site (which are always important to know). I will bookmark this site and take in as much information as possible. Who knows, my dream destination may one day change from Tuscany to Tanzania or something lol. It’s true Africa doesn’t receive good press in the American media, it’s a shame since the Dark Continent offers endless possibilities such as paradisiac beaches, great cultural experiences, breathtaking landscapes as well as African Safaris of course. Beckie is right…this is a very beautiful site. Although I won’t be traveling to Africa anytime soon, I will visit this site, often, to learn all about it. Even though you don’t plan in a near future to go on an African Safari, Africa should be included in your bucket list! If you want more awesome bucket list ideas, then click here. What a beautiful site! You have so much information I have no idea where to begin! I have always wondered about taking a trip to Africa, I too am a wildlife LOVER! I would absolutely love to observe these beautiful animals in their natural habitat instead of a zoo. You sound very experienced on the topic as well. Maybe one day when my son has grown I can contact you about a safari adventure. I also love how you cover topics such as how to save the rhinos and prevent poaching. Best Wishes Sonia! 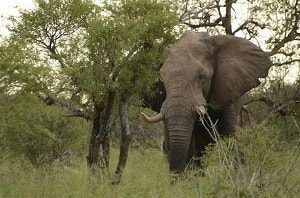 What can I say I love the wildlife also, and especially the Big Five! It is sad to see that some of the Big Five like the rhinoceros, the lions and the elephants are listed as endangered species. When you will be ready to book your African safari, drop me a line and I will be more than happy to help you out, to make sure that your adventure on the Dark Continent is an unforgettable experience with everlasting memories!